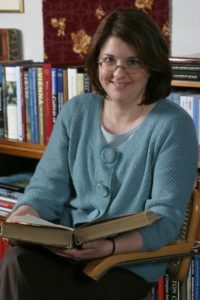 Nicki Brown is currently Director of Development at the Albany Institute of History & Art. She previously served as the Associate Director at Historic Albany Foundation, where she oversaw development and outreach. Originally from Atlanta, Georgia, she moved to New York City to get her Master’s in Museum Studies and worked at the New York Botanical Garden. She has gotten to know Albany like the back of her hand through her positions at AIHA and HAF, and loves all that the Capital Region has to offer. Nicki lives in Niskayuna with her husband and a small menagerie of cats and dogs. Leif Engstrom joined the Conservancy board in 2018. He is Director of Audit and Risk Management for the New York State Department of Civil Service. His previous positions include service as Director of Development for the Albany Housing Authority, City Auditor for the City of Albany, and Program Manager at the Capital District Regional Planning Commission. He holds a BA Industrial Engineering and an MS in Urban Planning, both from the University of Tennessee, Knoxville. Leif and his family live in Albany’s Pine Hills neighborhood. Joe Giovannetti is committed to creating safe, healthy, and inclusive communities. He currently serves as Special Counsel to the Commissioner for Ethics, Risk and Compliance at the New York State Department of Transportation. He previously served as an assistant United States attorney in the Northern District of New York (Albany) and as an assistant district attorney at the Manhattan DA’s Office. Before attending Stanford Law School, where he served as graduate student representative on the Board of Trustees’ Committee on Land and Buildings, Joe taught high school English in Camden, New Jersey, as a member of Teach For America. Since moving to Albany by way of Brooklyn, he and his wife have enjoyed exploring Washington Park with their two young children and discovering everything it has to offer. Matthew Hamm was born and raised in Greene County, New York and has lived in downtown Albany since 2009. He is a graduate of Plattsburgh State (’08) where he received his BA in Geography (with a focus on Historical Geography). His final paper focused on the Dutch Colonization of the Hudson Valley. He has done graduate work at SUNY Albany in Geography and Planning. He has a strong passion for all things New York State History and Nature. In the past, Matt interned with Historic Albany Foundation (’09) and the NYS Preservation League of New York (’12). He helped restore the Jesse Buel House (The Albany Nursery) on Western Avenue in Albany with the owners. The house received a preservation award from Historic Albany. Currently, Matt is a Tour Guide at the NYS Capitol Building and Executive Mansion. One of his favorite outdoor activities is chanterelle mushroom hunting in the Catskills during the month of June with his father. Chelle Jenkins, a member of the board since 2011, serves on the September Splendor planning committee and provides the graphic design work for the conservancy. She is an associate at the architectural firm John G. Waite Associates, Architects PLLC, contributing research, writing, design, and illustration to the firm’s work in historic preservation. 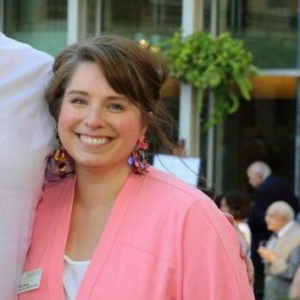 She is currently president of the Friends of the Library Board at Brigham Young University and works with her church’s local women’s organization. 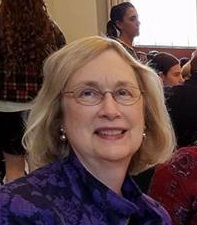 Marcia Kees has served as an adjunct faculty member at the University at Albany SUNY since 2011, teaching planning law, park and historic preservation planning, and planning studio courses. She serves as a member of the Community Advisory Board for the Masters in Regional Planning Program at UAlbany. Marcia completed thirty-five years of public service employment, retiring from the NYS Office of Parks, Recreation and Historic Preservation. She is past president of the New York Upstate Chapter of the American Planning Association and the Capital District Planners Association and has served as a board member or advisor for several non-profit organizations. She and her husband own and operate Mister Sew-N-Sew Custom Canvas in Halfmoon, NY. Bill Lemmon has been a member of the board of directors since 2002 and has worked closely with the city forester on WPC’s yearly tree planting in the park. Since retiring from the NYS Office of Mental Health he has been the owner of Painter’s Edge LLC, a house painting business. He and his wife have lived on State Street across from the park since 1977.